Recent review: Kind and warm personality, very talented! We are a winery in Ocean Beach. We are having a sit down dinner to celebrate our award from San Diego Magazine of "Best Urban Winery 2018". Dinner will be cooked on the premises. Must know 70s Elvis. I have a set list with songs. Keyboard players are a perfect choice for events of all types from corporate and community events, to birthday parties and weddings. They can provide a variety of sounds and styles of music. Electronic keyboards can synthesize unique sounds and multiple instruments, making it a great substitute for a full sized band. Keyboard players can provide a similar service as a piano player, but offer the convenience of portability that you can't get with a baby grand or upright piano. 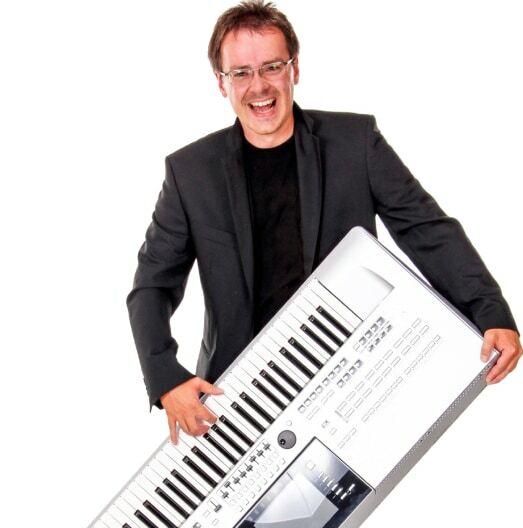 Search for Keyboard Players in San Diego, California above. Please note that these Keyboard Players may also travel to Coronado, Lincoln Acres, Lemon Grove, Bonita, Spring Valley, Imperial Beach, La Jolla, San Ysidro, Lakeside, Del Mar, Jamul, Fairbanks Ranch, and Solana Beach.